When it comes to Insurance, whether you own a large or a small business, or multiple department stores, everyone comes with a unique set of needs and risks. If you deal with the public and customers on a daily basis, purchasing shop insurance is very important. Shop insurance will protect you, your business, and your employees against legal costs and claims that may arise from a public member who may suffer an injury in your store. Another example would be, if your property received damage by a customer who is present in your shop. It makes sense to have the right cover in place to protect you and your business, after all it is your livelihood. It is also a legal requirement to have employer’s liability insurance if you employ staff in your shop. Public Liability Insurance cover will protect you against any claim made against you in the event of an injury or accident in your store. Any compensation or any legal costs will be covered by your insurance policy, this is particularly important if you deal with the public on a daily basis. If you employ working staff in your business, you will need to purchase Employers Liability insurance. You are by law required to have this cover in place. You are protected if one of your employees becomes ill or injured as a result of working for you. Contents Insurance will cover all stock that you may have in store in the event of damage or theft. It also covers computers, shelving, furnishings, tills, and any other equipment that you may have on the premises. When owning a business, sometimes unfortunate accidents may occur. Having shop insurance will give every owner peace of mind in knowing that their business is covered in the event of an accident or damage to the public, employees, or your premises. As the saying goes “Better to be safe than sorry”. It is possible at any time that a claim could be made against you. Having insurance can make this a lot easier on you and your business. Even if you win a case, your shop still faces the legal costs. So, it is important to purchase shop insurance and secure you and your business. Your employees are your livelihood, they make sure your customers are attended to and uphold a friendly environment. If one of your employers has an accident on your premises, you are then protected by having employee’s liability insurance to cover any costs that may unfold. Take care of your workers and your business with shop insurance cover. 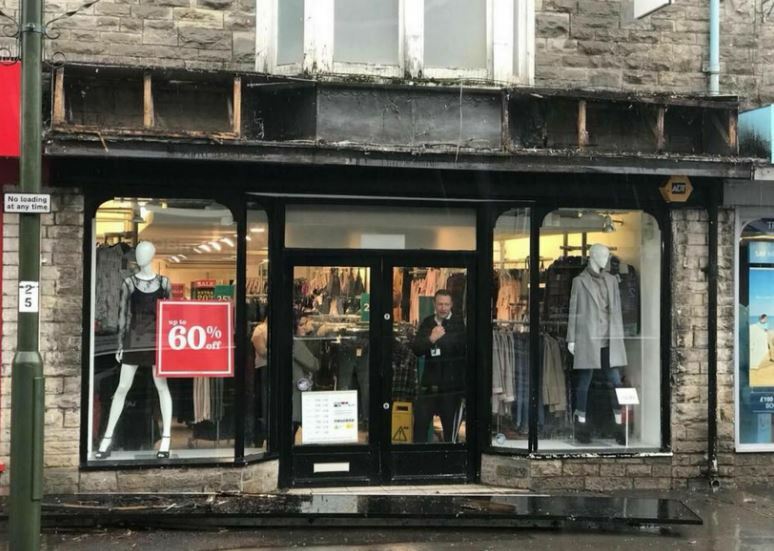 If your business is in an area that is prone to flooding or storms and if any structural damage may be caused, then it is crucial to have shop insurance in place. If you do not have this type of insurance policy, it could cost you thousands to cover the costs of damage and loss of any supplies itself. At Pembroke Insurances, we have years of experience to ensure that we get you the best and the most affordable shop insurance quote on the market. If you are a shop owner in need of insurance, then you have come to the right place. One of our experienced team members is always on hand to offer you advice anytime you need. We are dedicated to providing you with the highest quality customer service possible. You can rest assured you are in the best hands at Pembroke!